Business Summary: Don’t trash your documents, others may access it and compromise your data, our technology will shred your documents to dust almost, the process is called pulverization. Our most affordable plan is in store, where you bring the material to us for shredding, no transportation cost or hidden costs, simply pay per pound. Same quality service without the extra fees, shredding rates starting at 89¢ /Pound. Business Summary: Our secure plant near Waltham MA through its massive industrial shredders allows us to destroy up to 8000 pounds of documents an hour, saving time and, more importantly, saving you money. No other company can match our document destruction rates within the Greater Boston MA. Our truck allows us to pick up at our location and shred in our secure facility. This service plan eliminates any chain of custody issues and gives you the assurance that your documents have been destroyed properly. 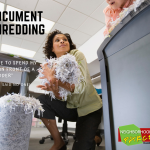 Business Summary: Don’t trash your office documents, others may access it and compromise your data, our technology will shred your documents to dust almost, the process is called pulverization. Our most affordable plan is in store, where you bring the material to us for shredding, no transportation cost or hidden costs, simply pay per pound. Same quality service without the extra fees, shredding rates starting at 89¢ /Pound. 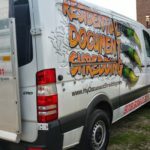 Business Summary: Residential Shredding Service does not have to be expensive! 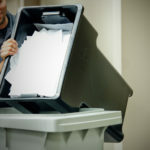 Boston and Lowell MA area residents have a new choice for their document shredding service, unlike the other large corporations, our company offers area residents a chance to safely secure and shred their material at some of the lowest prices in Metro Boston MA. 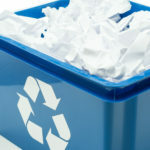 Business Summary: Tewksbury MA residents and businesses can take advantage of our secure drop-off service at our Lowell MA location, save 30 to 60% off shredding service by eliminating transportation charges and additional fees, no minimums, no appointments or long term contracts and rates starting at 89¢ /Lbs.